Morocco is really a breathtaking place, and tourists love to visit this country. If you are a person who wants to see a great blend of Africa & Arab then you can visit here. You can enjoy everything from Mountain to Sea, Desert to Modern arts & city. An Indian person who plans to visit this place requires a Morocco tourist or business visa, and as per the visa category, documents varies according to your purpose. Indian tourists can stay for a period of up to 90 days on a tourist visa, and if they want to extend their stay, they will require a resident permit for it. A complete & duly signed Morocco Visa Application form. Original Passport with at least 3 months validity (from the date of submission of Visa application) and 2 blank page. A copy of First & Last page of Passport. Recent Passport Photographs with white backgrounds & dimensions should be 4cm X 3cm. A cover letter from an applicant with a complete professional & tour itinerary details. Confirmed Hotel Booking or Invitation letter duly legalized (Apostille or Ministry of foreign affairs stamp) in case of family visit, with the warranty of support for costs of medical care and possible repatriation. Financial: Last 6 months bank statements with bank seal & signature with last 3 years ITR. Leave Letter or NOC from Employer/University. Travel/Health Insurance for the duration of Morocco Trip. A cover letter on company’s letterhead with complete professional tour itinerary details. Invitation letter from any Moroccan Company, the signature on the invitation should be legalized by local authorities in Morocco and attested by the Bureau of the legalization of the Ministry of Foreign Affairs, Morocco, or certified Apostille. Financial: Last 6 months bank statements with bank seal & signature with last 3 years ITR of the personal & company both. Firstly, download the visa application form, and this you can go through the internet or get it from the Embassy of Morocco or the Moroccan Consulate in your country. After that, coloured photographs are required for the visa application, but make sure that your photograph must not be more than 6 months old. You will also have to submit two copies of your passport photograph along with your visa application form. 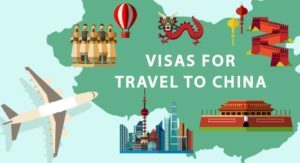 You need to keep the visa fee also ready for submission along with the application and remember to check the mode of payment. When everything is done, submit the visa application form either in person or through a representative at the Embassy of Morocco nearest to you. 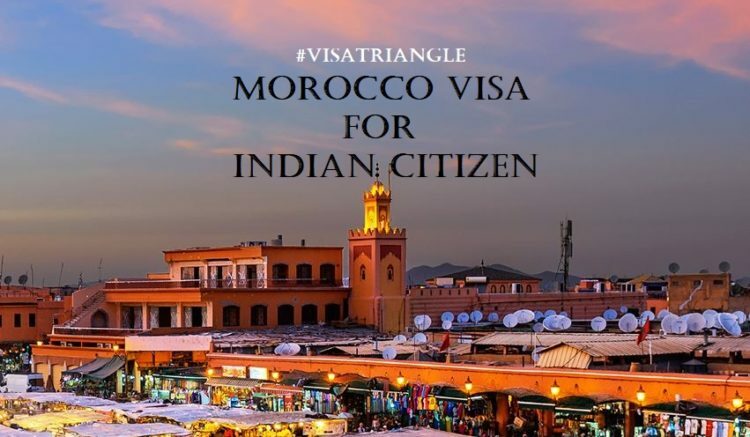 Normally Morocco Tourist & Business visa fees for Indian citizen is approx. INR 3148. Morocco Visa application will get processed in 5 working days after submission at Embassy of the Kingdom of Morocco. All the above information mentioned will help you to go through your Morocco Visa Application but in case you still feel uncomfortable or have any issue with filling and applying Morocco Visa Application, feel free to contact our Visa Consultant for assistance. Our visa company, Visa Triangle is one of India’s leading Visa Service provider agency with over 10+ years of experience. We would love to hear back from you and help you out with your concern.